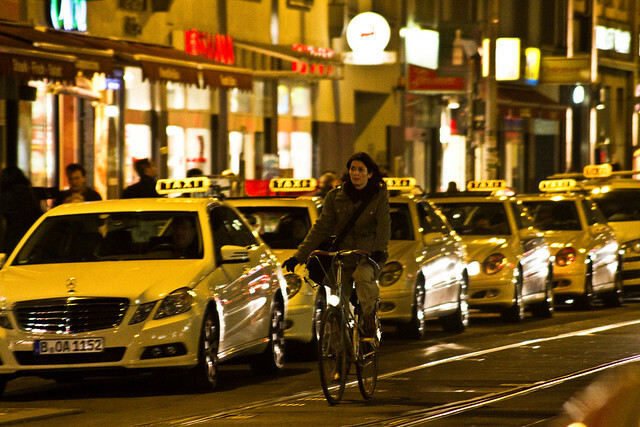 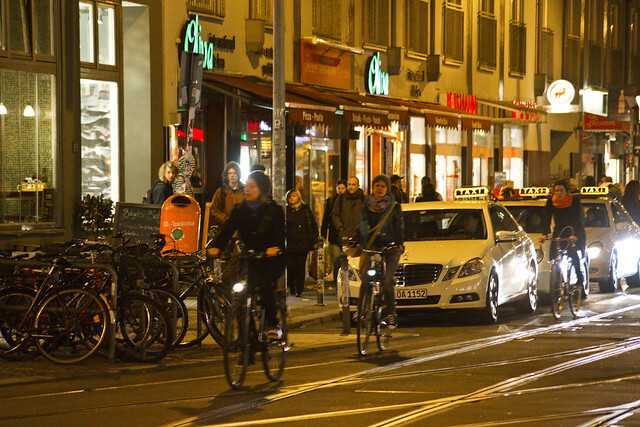 A few evening cyclists on Rosenthaler Strasse in Mitte. 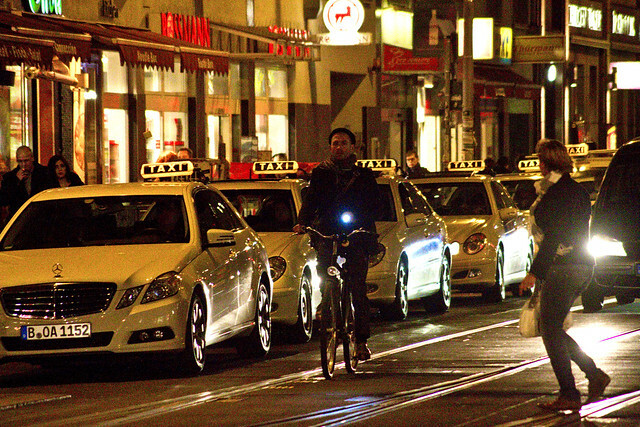 Great picture with the line of taxis. 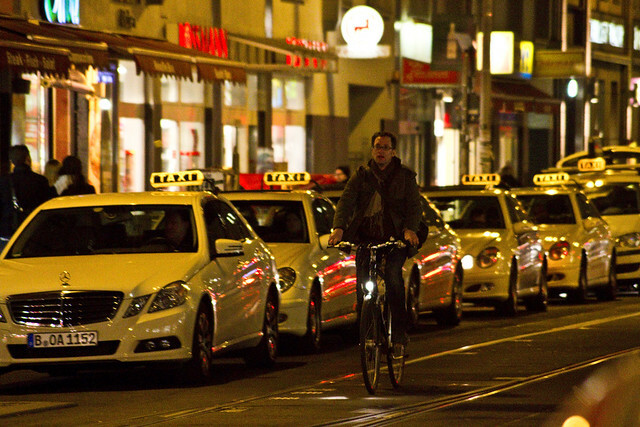 But maybe not on that exact spot, showing on the picture, cos there I always looked so strained and focussed not to get into the tram tracks.